Shop online at Agoda, eBay and more with ShopBack and Save More! Traffic in Metro Manila has gone beyond terrible that people would rather stay at home than brave the rush hour jam. This is also probably the reason why online shopping is becoming more and more popular nowadays. You get to avoid the traffic altogether and have your packages delivered to your doorstep. I myself have been frequenting shopping sites these past few days. Aside from the convenience it offers, I also find plenty of great deals online. One that I am really interested in right now is the ShopBack deal. I am no stranger to online shopping as I often book flights and accommodations for our family vacations online. 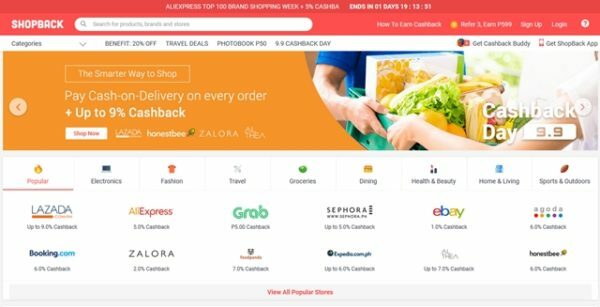 This is why I was glad to see Agoda as one of ShopBack’s merchants. I can now find great deals and get some cash back as rewards for our travels. ShopBack has merchants that can cover almost every shopping need that you may have. That means visiting just one site to find deals for your fashion, travel, and home needs including meals and groceries. This is also why Shopback really works for me. Without a nanny to help me, shopping for basic needs can be quite a challenge with a little girl in tow. Online shopping takes all the hassle out of shopping per se and still rewards you for your loyalty. Another reason why I have grown to love online shopping is the wide variety of products that you can choose from. I usually go to eBay to find great deals for products that are usually hard to find or limited edition items. eBay shoppers will be happy to know that they can slash prices with eBay coupons and still get entitled to cash back rewards when they shop via ShopBack. You can also check out the deals from YouPoundIt coupons and vouchers for your gadget needs. Just remember that ShopBack must be the last link you click for your purchases to be entitled to the cash back. Finally, there are special event promos that you wouldn’t want to miss. 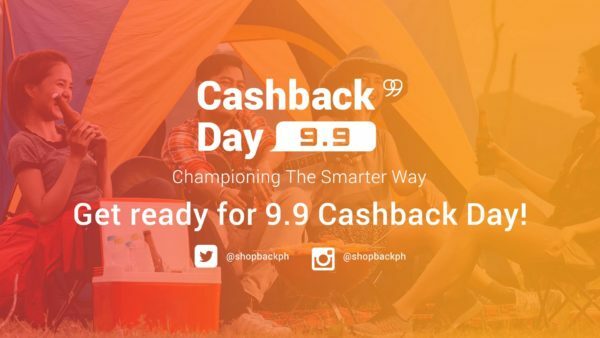 ShopBack’s special 9.9 Cashback Day event brings you more exciting ways to shop smarter. There are secret store deals coming for online shoppers this coming September. These are deals that I always keep an eye out for because they usually offer more perks and bigger discounts. Traffic or no traffic, online shopping offers convenience and savings for everyone. You get to save on time and energy spent on travel and coursing the shop aisles. Time and energy that can now be spent on quality time for the family. Online shopping also teaches you how to shop smarter with great deals that allow you to save more and earn more. Register now and you will received Php 100.